Amidst a slew of smartphones in the market, LG has launched a smartphone that bends. NBA 2K14 for the PS4 is more realistic than ever, with real audio and life-like players. Their record label and producer are new, but Tennis mostly stick to their tried-and-tested formula. Korn's 11th studio album is one of their best, although lyrically they tread on familiar ground. Hunky Thor and his equally dishy brother Loki battle a bigger, badder enemy in Thor: The Dark World. The latest title in Assassin's Creed series improves the naval combat scenarios and is a good buy. Japanese rock band One Ok Rock ups the temperature at the Hard Rock Hotel with an energetic concert. Arizona band The Maine drives up the decibels with an electrifying maiden concert in Singapore. The Killers and Rihanna thrilled crowds during their performances at the Singapore F1 Grand Prix. Critics don't have much love for it, but The Purge is a nice break from romances and sci-fi films. 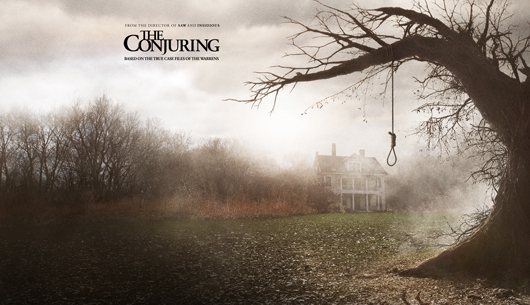 James Wan's slick direction and good old-fashioned scare tactics make this movie a winner.